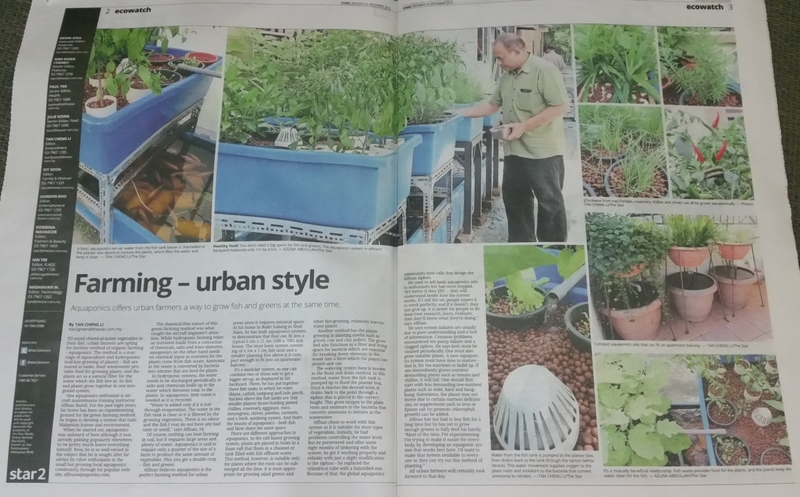 After few years of practising Aquaponics at last The Star a mainstream newspaper write an article about it. Hope with this, more and more Malaysian be aware of this method of planting. This site is that, so you had come to the right place. Thanks for visiting. Thanks for the info Affnan. A lot of good information for someone new like me. 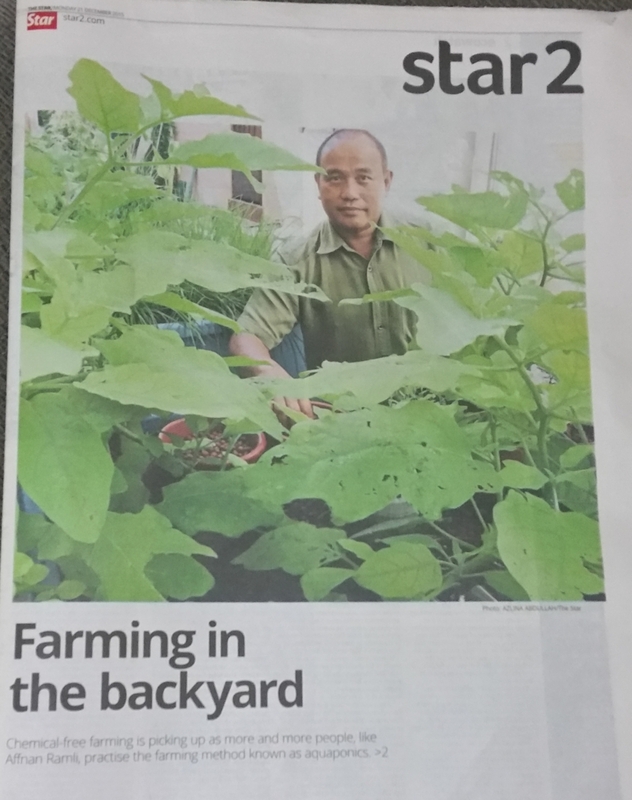 Congratulations on being featured in the Star newspaper sometime last week. Are you staying around PJ area? Let's meet for some teh tarik. Many of us will be happy to learn about your experience. 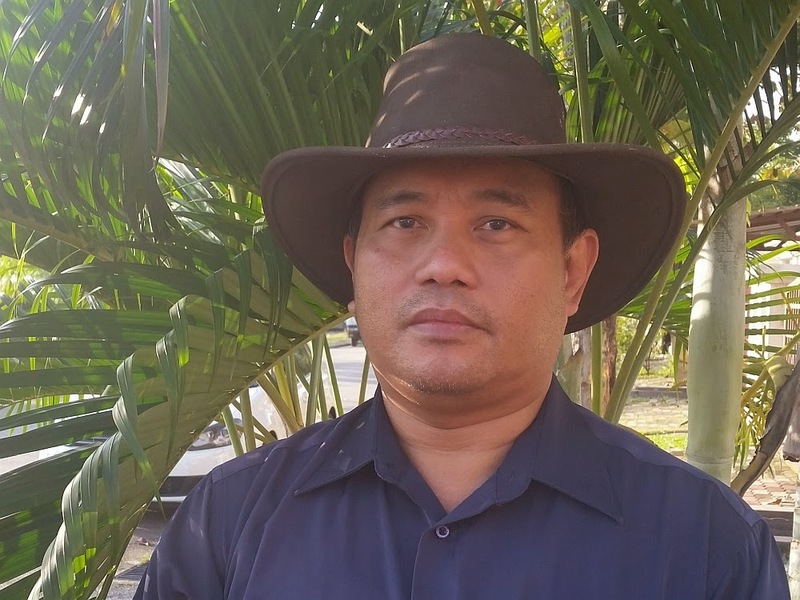 Hi Affnan, can I buy one of your fiber tank with siphones installed? gutter growbed. I tried to make the strainer siphon using 20mm stand pipe 32mm funnel and 3in bell. but the siphon didn't work. Need your comment and suggestions. Use 15mm stand pipe 25 to 15 reducer and 50mm strainer upvc pipe.